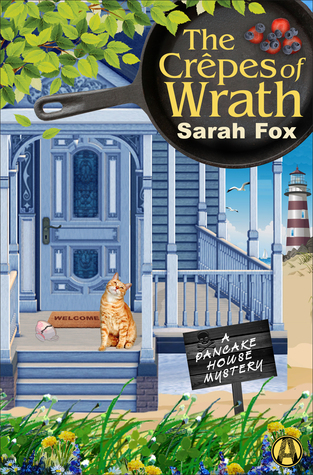 In the debut of a delightful cozy mystery series, Sarah Fox introduces a charming new heroine who finds herself in a sticky situation: stacking pancakes, pouring coffee, and investigating murder. I will be the first to admit that my reading tastes tend towards the darker especially in the mystery genre'. After reading CREPES OF WRATH I might have to change my stance on cozy mysteries. Ms. Fox has done a delightful job of holding my attention while I was trying to puzzle out the culprit. I think that a lot of what endeared this book to me is the town of Wildwood Cove itself. I live not too far from Port Angeles have always found the little burgs that surround it utterly charming. They tend to be tourist towns but the locals band together to help each other out. And I really want to go eat at the Flip Side. As far as the rest of the book goes, the characters are beautifully portrayed, the dialogue flows and the tension mounts. Everything that I look for in a mystery or a suspense. I do highly recommend this book to my readers who enjoy a good mystery. And be sure to check out the recipes at the back of the book. 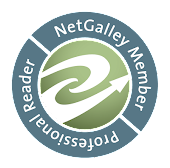 *** I received this book at no charge from Chatterbox and Random House in exchange for a fair and honest review. All opinions expressed within are my own.